Home » Energy » Oil prices reached 110 USD a barrel ! Oil prices reached 110 USD a barrel ! That’s it, yesterday at the New York Mercantile Exchange the oil prices reached $110 for the first time in History. This occurs only two months and a half after it reached $100. This can be explained by the fact that the Dollar is weakening as time goes and as now the Euro is worth $1.55. This becomes a serious problem for the purchasing power. This event should push leaders worldwide to work seriously on energy efficiency and behavioral changes as they are the only permanent solutions. Oil prices staged a remarkable volte face on Wednesday and surged through the $110 level, while gold firmed as the dollar sank further against the euro. Oil initially retreated after the latest US weekly inventories data provided further evidence of demand weakening. However, with the dollar sinking, the dip in oil prices was rapidly viewed as a buying opportunity. 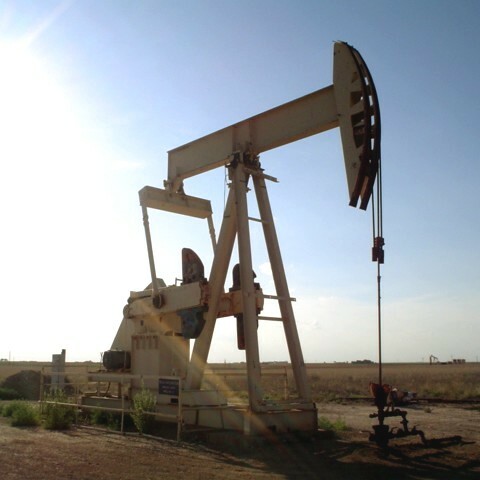 Nymex April West Texas Intermediate recovered from a low of $107.07 and surged to a record $110.20 a barrel before easing back to settle $1.17 higher at $109.92. (…) “The mood on the market so far remains bullish and open interest in call options on the current April futures contract (which expires on March 14) has spilled over to $110, $120 and $150 a barrel strikes,” said Harry Tchilinguirian, a senior oil analyst at BNP Paribas. Open interest on $110 calls stood at 14,804 lots. To decrease the pressure of the always increasing oil prices, governments worldwide should increase fast the mileage requirements of cars and launch massive campaigns of house insulation as well as increasing the importance of thermal renewables ( mainly solar thermal, wood energy and geothermal ). This indeed would have a cost, but it would create million of jobs worldwide, and more importantly would enable us to avoid huge problems as oil prices won’t stop there in their dramatic rise. Another axis of work would comprise behavioural changes, ie. teaching people to act in economically and ecologically sound ways. Edit : according to an interesting article by Les Echos [Fr], the French Prime Minister, Mr François Fillon, estimated that everything should be done on alternatives of oil as prices are due to keep on soaring. He envisaged to put the oil tax money on the Research and Development of these said alternatives. This is good news. And you, what do you think of this ? Be sure that I will keep you posted on this issue and many others as news arise, so, stay tuned and don’t hesitate to leave your opinion on this topic and write a comment as I would gladly read you.